Presentations cover innovations, new products and applications in the energy curing field. Attendees, exhibitors say the show was a success. DKSH will showcase its specialty chemicals and innovations at trade show in Chicago. Will show two new products during show. Sessions cover photoiniators, waterborne and composites. Displays Miramer LED-curable and urethane acrylates. 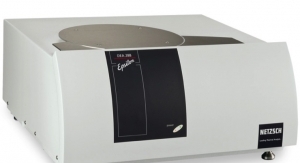 DEA 288 Epsilon Dielectric Analyzer comes in lab, industrial versions. 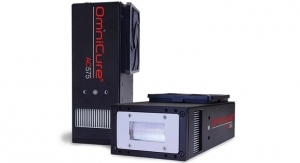 Technologies include soft touch acrylates, UV PUDs and dual-cure oligomers. Among the products being exhibited are its line of oligomers for 3D printing inks and LED Nail Gel Coatings. New Product Debut, EHS and Regulatory and electron beam advances will be among today’s important topics. Minex is a no-tint strength durable pigment extender for UV coatings. Among the key benefits of Silmer OHT is excellent stain resistance. New UV-curable dispersions are designed for markets such as KCMA, office furniture. UV LED powders are a functional coating with excellent surface wear characteristics. Will show new air-cooled products with WhisperCool technology. High peak performance enables faster line speeds, reduced costs. Will show products for furniture and flooring, industrial coatings, commercial, packaging and digital printing. Will exhibit several acrylate oligomer offerings at this year’s RadTech technology expo. Awards announced for 3D printing, Pepsi, Cleveland, UV LEDs and more; new accelerator award also announced. Planned topics include migration definitions, limits, testing and the various approaches among countries. 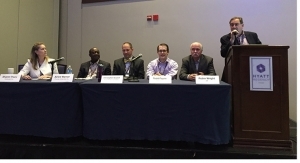 Topics will be presented by LED experts at RadTech 2016, May 16-18 in Rosemont, IL. Nazdar 702 Series inks helps company meet ‘mission critical’ color demands. Additives are designed for waterborne applications.